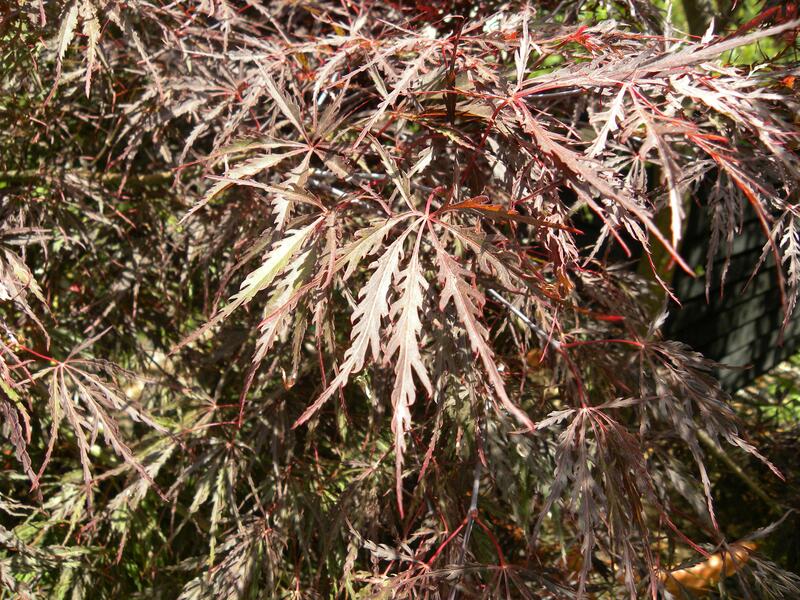 With deep burgundy, and a tinge of green, leaf that turns brilliant crimson in autumn. 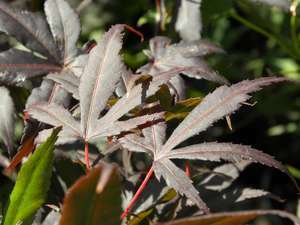 'Inaba Shidare' leaf has a lacy, delicate appearance but is quite a robust, striking specimen. It forms an upright, compact habit. 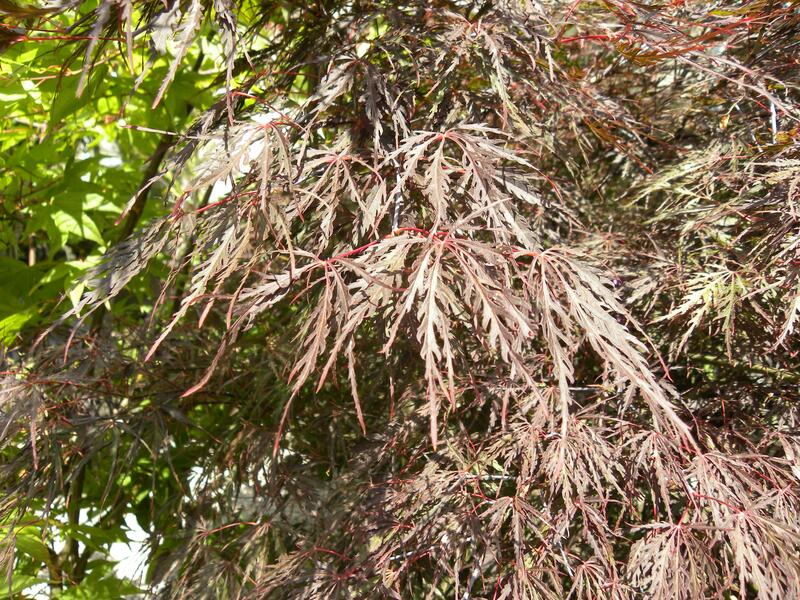 It requires a sheltered spot, away from strong winds Enjoys the sun, and dappled shade Needs moist, well-drained soil 2.5m x 2.5m spread and height. 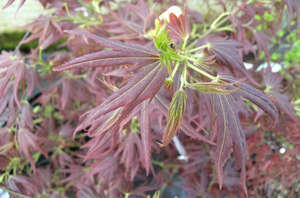 Like all Maples Acer palmatum Dissectum 'Inaba Shidare' doesn't require any pruning routine. Remove any dead or damaged branches. The best time to prune is the late autumn or winter when the plant is ful ly dormant. 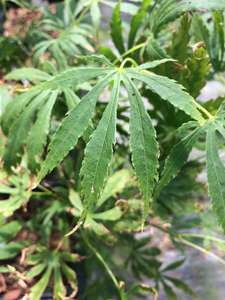 In late spring you may add a top dressing of a multi-purpose fertiliser around the base of the plant.